In today’s world, what matters most is the growth mindset. In this flood of people with talent (and those without talent), the ones who are highlighted are those who have a strong and grown mindset. Growth mindset helps you in making quicker and better decisions, and to you prove yourself better than others! This may sound heavy at first, but it’s just so simple! 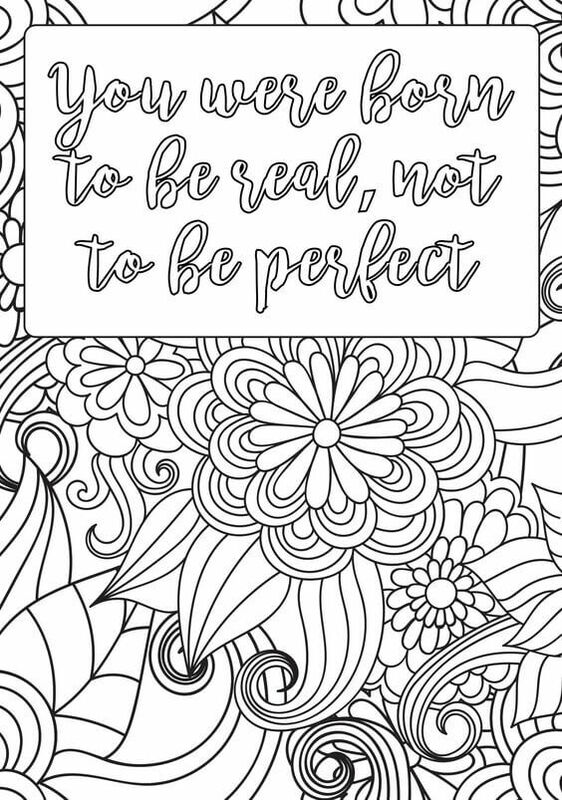 All you must do is grow your mindset using our free printable coloring pages, specifically designed to help you improve your mental spirit and boost your self-confidence. 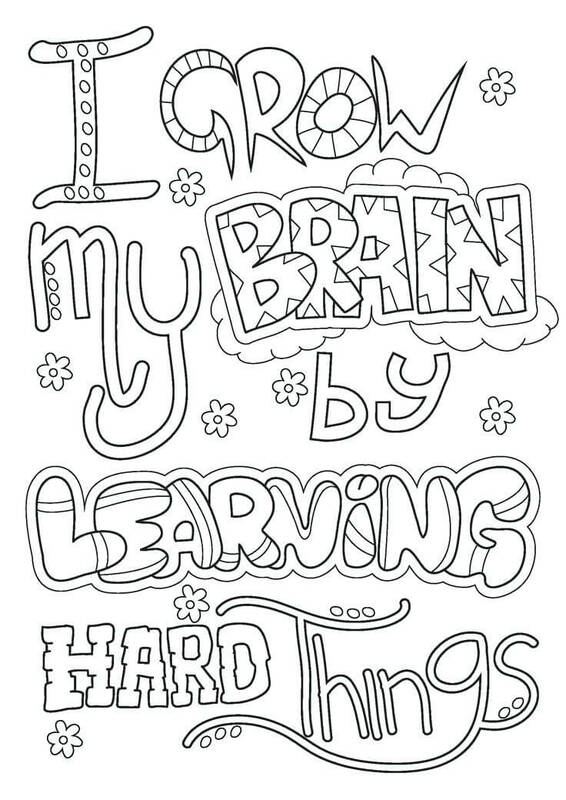 Alright, let’s go on and check out our free growth mindset coloring sheets to print. 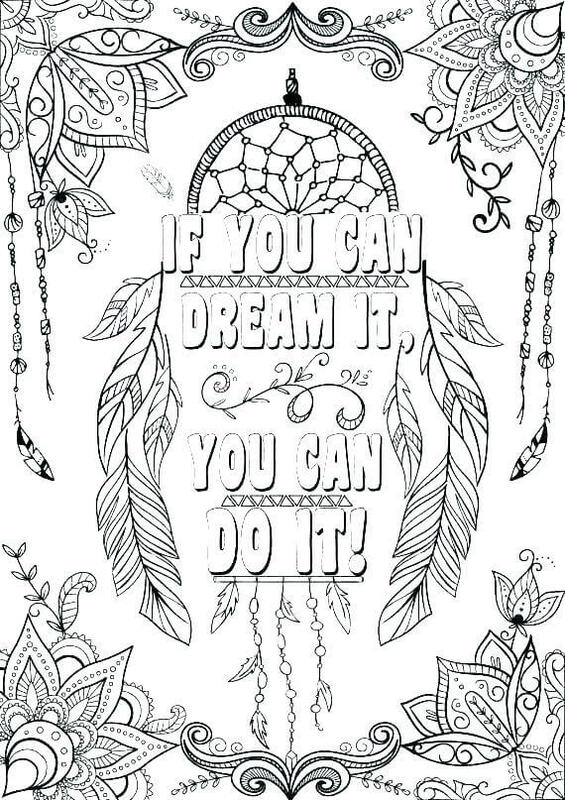 A dream is the most important and driving factor for a strong mind. In today’s world, people are afraid to go behind their dream, mostly because they are afraid of falling. But if you consider a career in something you don’t like, how happy are you going to be? We must understand that life is just not about a considerable salary and a set home, it’s about being happy and doing what you love the most! Learning new things – typically those which are hard and challenging – is a key factor in growing your brain. When you learn something new, biologically, there are new neuron connections made in your head, which then make you stronger mentally. 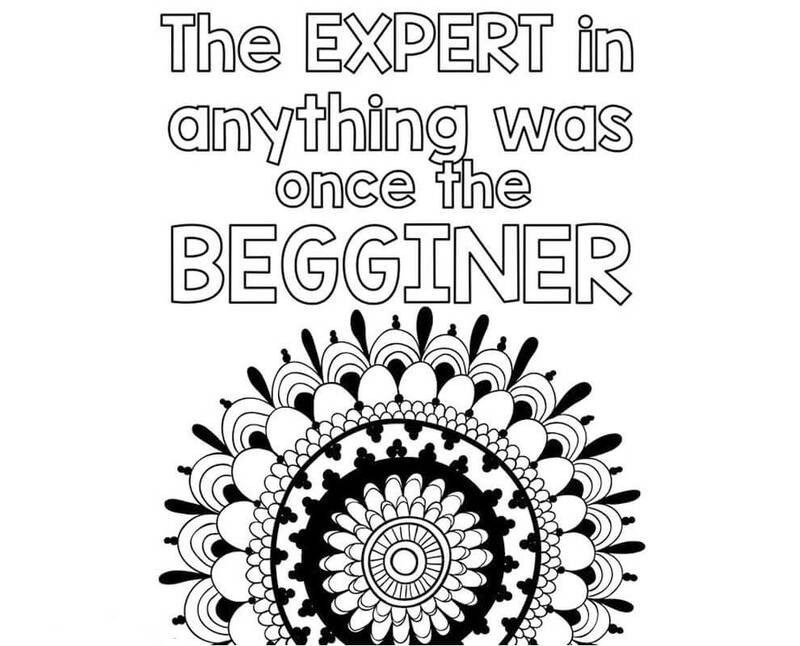 Learning harder things makes you think faster and deeper, exactly what a successful person needs! New challenges always leave their mark, we always remember them and learn from them. When you are challenged, it makes you realize your downside and your strengths, which then helps in knowing yourself better. 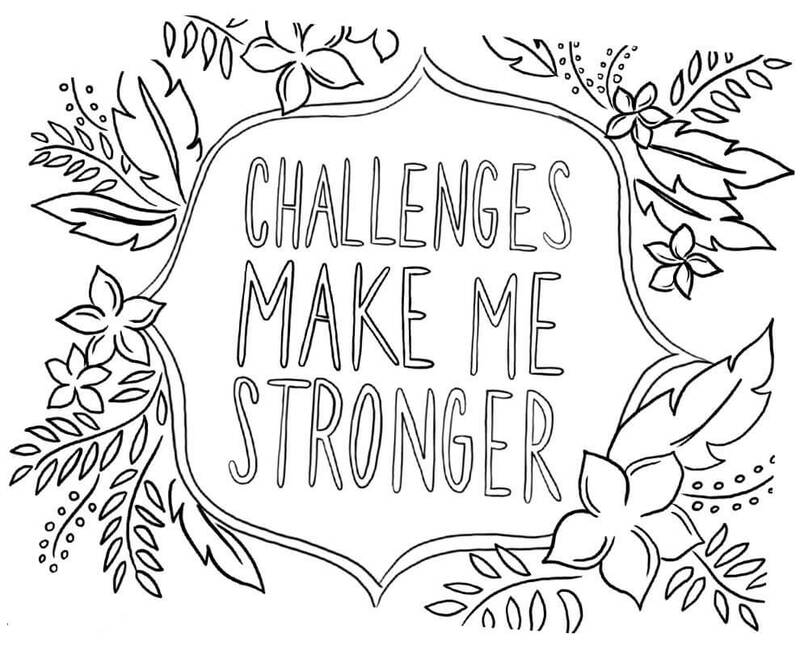 The more challenge you readily face, the more your mindset grows. Can you read what’s given in the image? It has 3 most important components to a stronger mind. It says effort, mistakes, and persistence. When you have these three qualities in you, no one can deny you have a strong mind! Well, print this image, color it shiny, and proudly paste it on your door to show the world that you have a very strong mind! You know the best who you are. But in today’s world, people try to mask who they are in front of other people, just to show that they are cool. But, honestly, what’s cool is the honest and true you! This mind sounds cliched, but it’s just a fact. 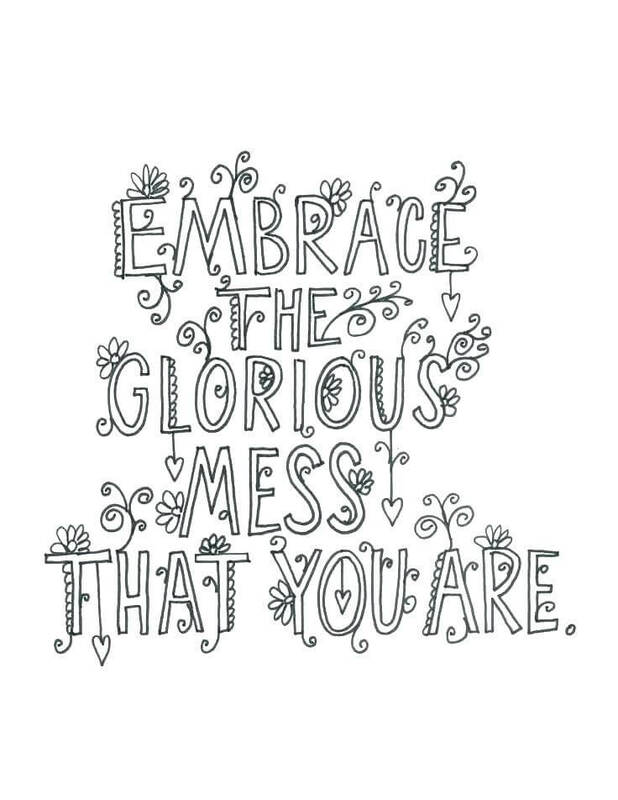 Embrace your true self, whatever you are, accept it, and see how your success rate booms! The two-word phrase, I Can, is perhaps the best phrase ever. 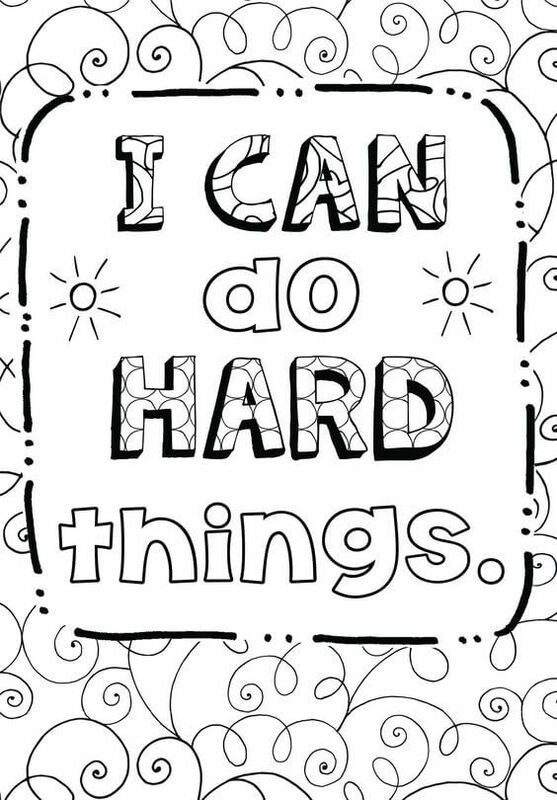 Saying, “I can!” brings immense spirit and confidence in you. Nothing is impossible! I can do everything! There’s nothing you can throw at me and I can’t do! You just must believe you can, and there is nothing that can stop your soaring success! Don’t you feel immense poised when you read this? It’s so true, but still, people ignore this phrase so easily in today’s world. People just don’t chase their dreams! Well, you don’t have to be like the rest of the crowd! Show people you are different, show people you can! 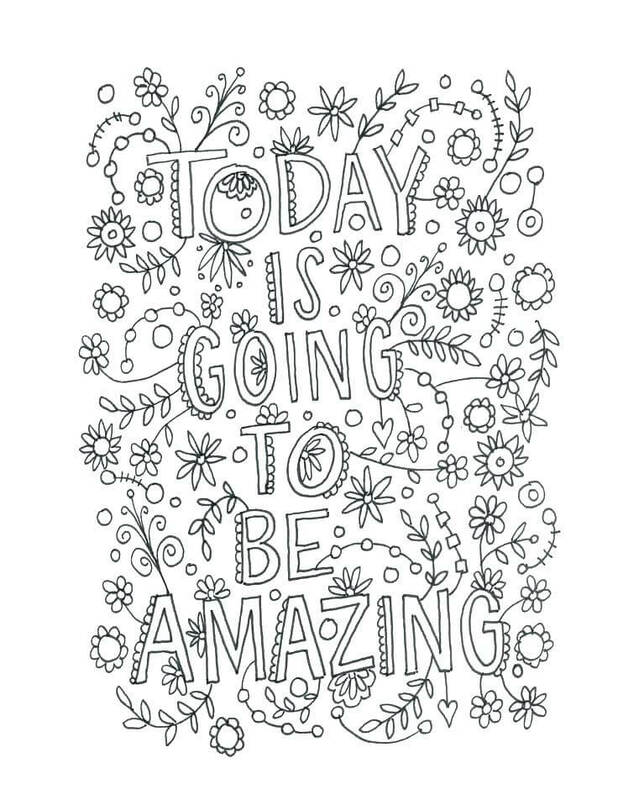 Color this page flamboyantly and tell the world you can do it! Here is an amazing activity sheet which can help you grow your mindset. Just print it and start off! 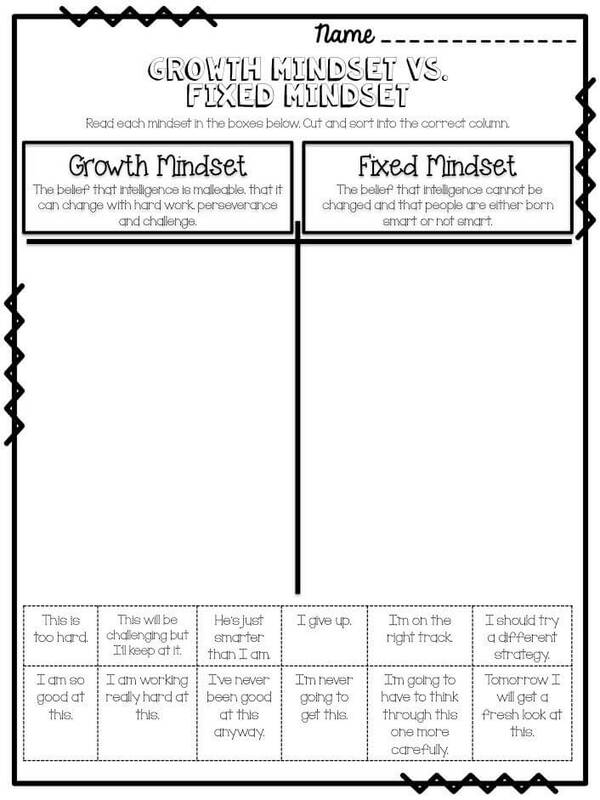 We can clearly contrast between having a fixed mindset and a growth mindset. Acceptance of change and being a risk taker pays off! Well, do you claim to have a growth mindset? 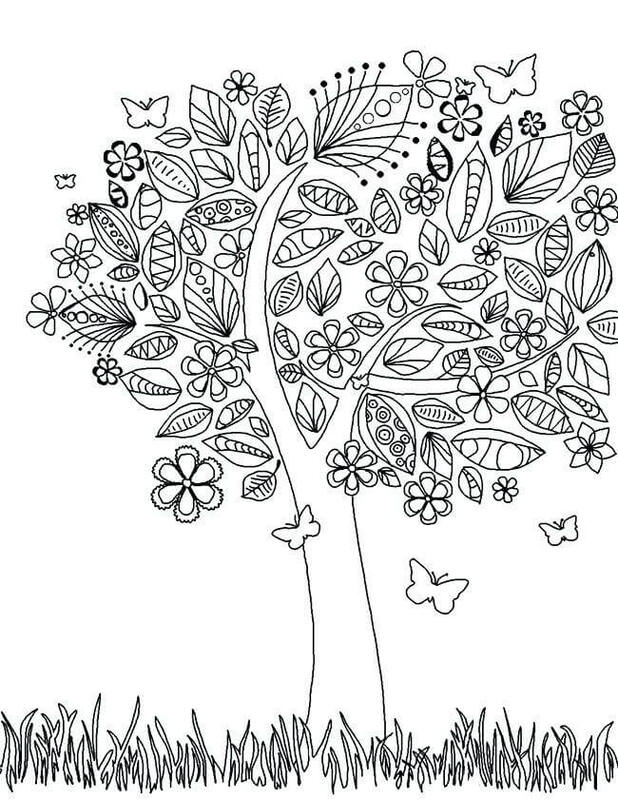 Prove it by coloring this complex image. Think of something outside the blue and put it onto this image. Show people that you can think different and you can accept challenges. Being kind helps you see people from a different perspective. Having a different perspective is key to having a growth mindset. Moreover, if you are kind to others, others are kind to you too! 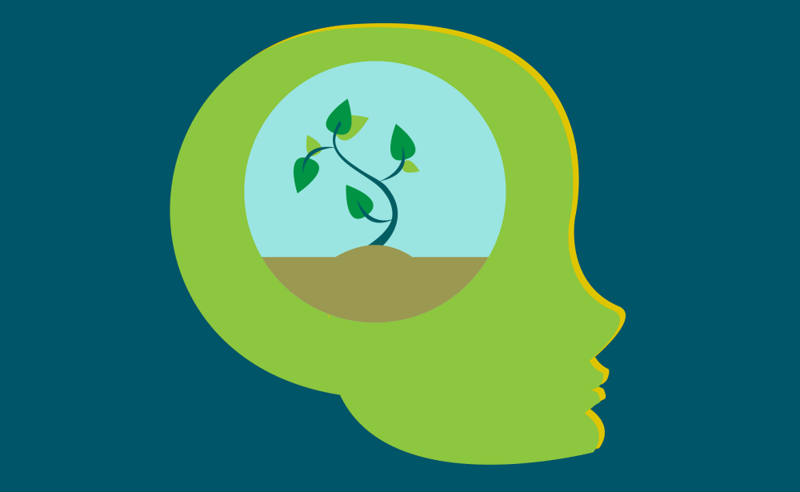 How do you ensure you have a growth mindset? This image talks about the various methods that can keep your mind growing. 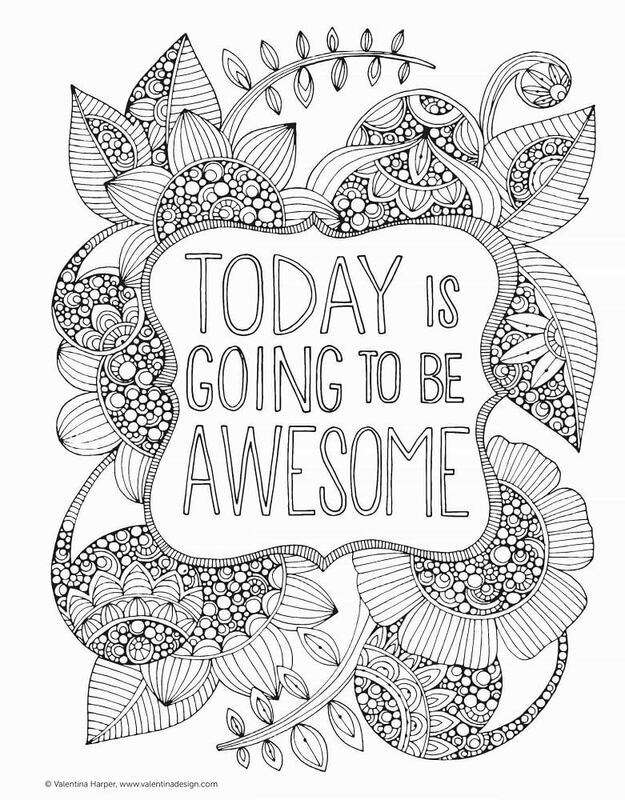 Just color this amazing poster and paste it on your wall! As you can see, the small seed is ready to accept change and take a risk, which helps it to become a blooming flower. 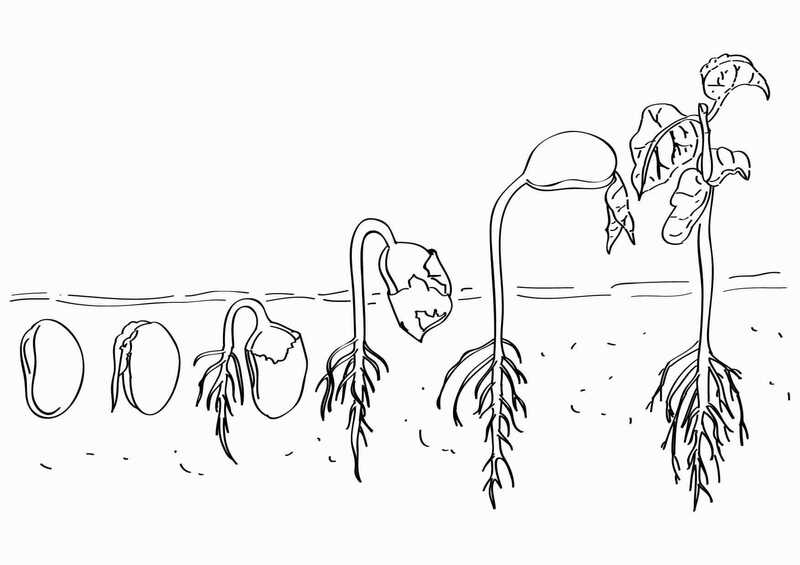 But if the seed did not have a growth mindset, it would always be that seed. 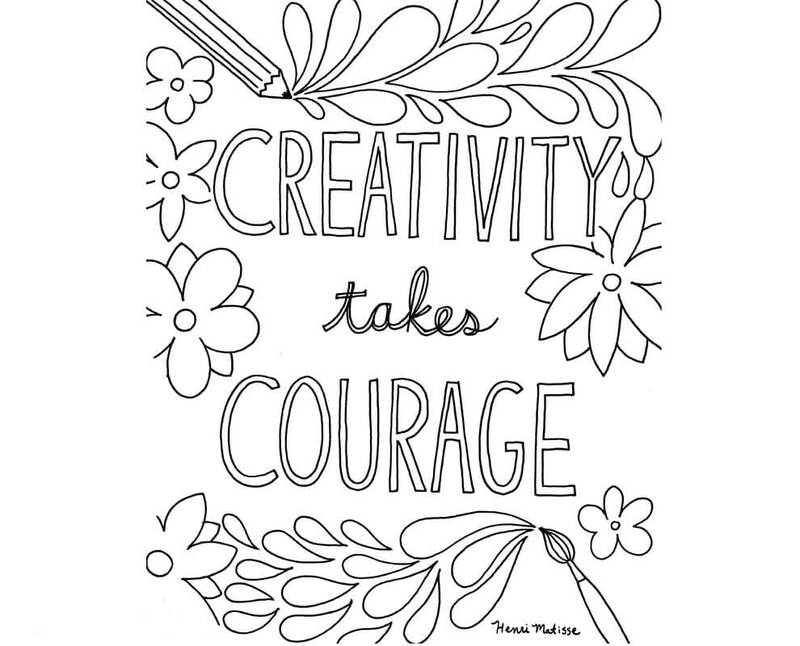 If you want to be creative, you require courage and face the stream of people in the opposite direction. But don’t be afraid to do something different just because the others are moving differently. Just chill and do what you like! 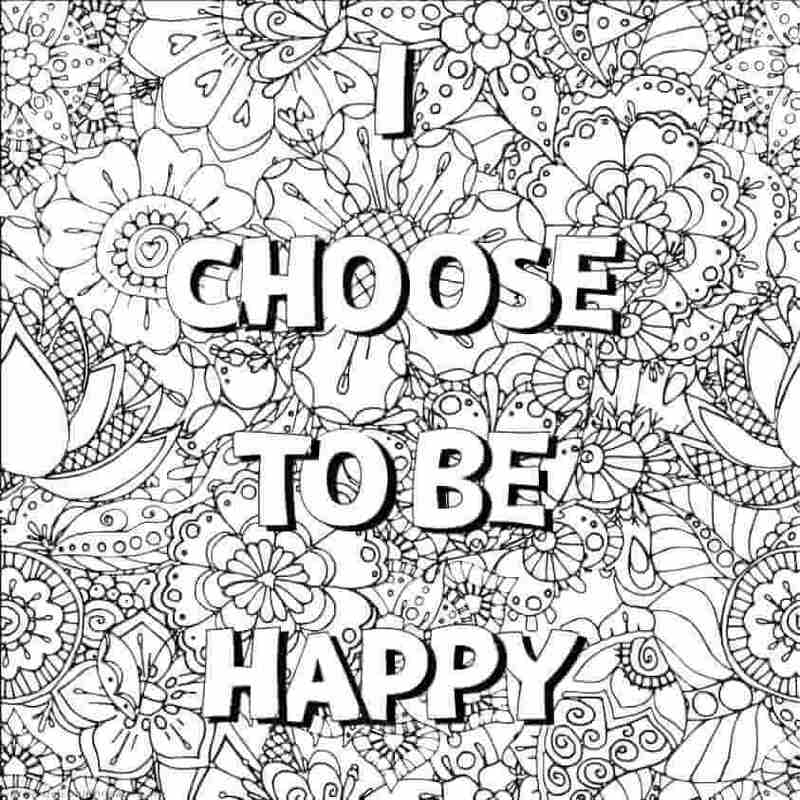 There’s only one difference between the sad and the happy people – their choice. Even in the worst condition, if you choose to be happy, it’s the best! But even in the best condition, you choose to preserve your sadness, nobody can help you. It’s all about your choice! People who fall doing again-and-again but choose to stand up and fight once more and the ones who end up making a difference. Bill Gates never had a best friend in college, but he chose not to be all sad about it. Instead, he chose to fight, and today we have the largest software company Microsoft co-founded by him. We always look at successful people and think, “he/she’s so successful, we’ll never be like them.” But we always forget that they are also humans, and they too started from scratch – just like us! Nobody is perfect, and we should choose not to run behind is just perfect – it’s senseless. Instead, we should cherish the reality and who we really are, a key point for a growth mindset. All those who look at the past daunt can never realize how beautiful today is, just like a summer morning! Forget all the past misery, and work to make today better! Every day starts on a new page, and every day is just amazing if you look from that perspective. We can choose to just highlight the miseries of the day, but if we chose to look at how awesome it was, you’re a growth mindset dude! If you give your best to everything you do, you will always see success. 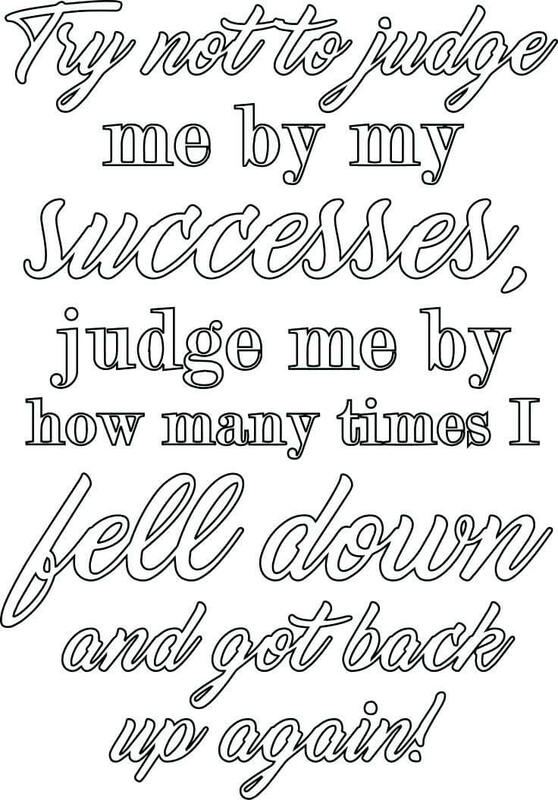 Yes, you may fail no matter how hard you try, but you try again and finally be successful! 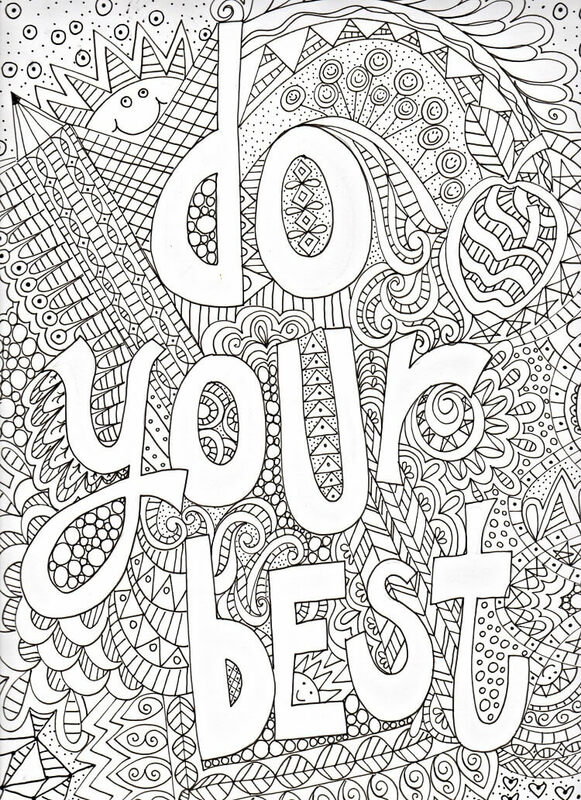 Just keep doing your best! Alright, young readers! 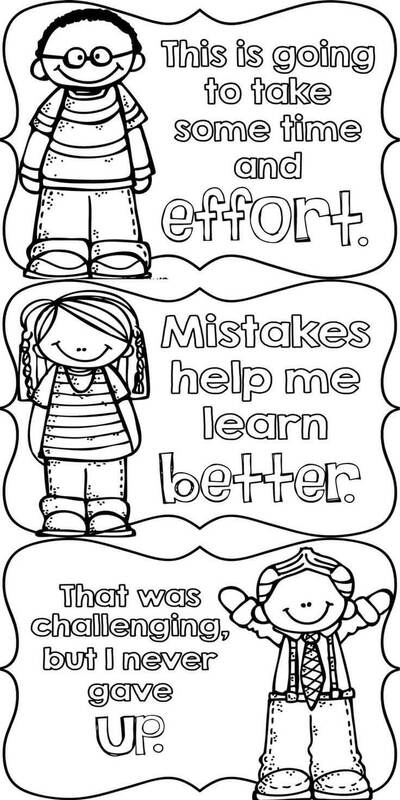 How were today’s growth mindset coloring pictures? 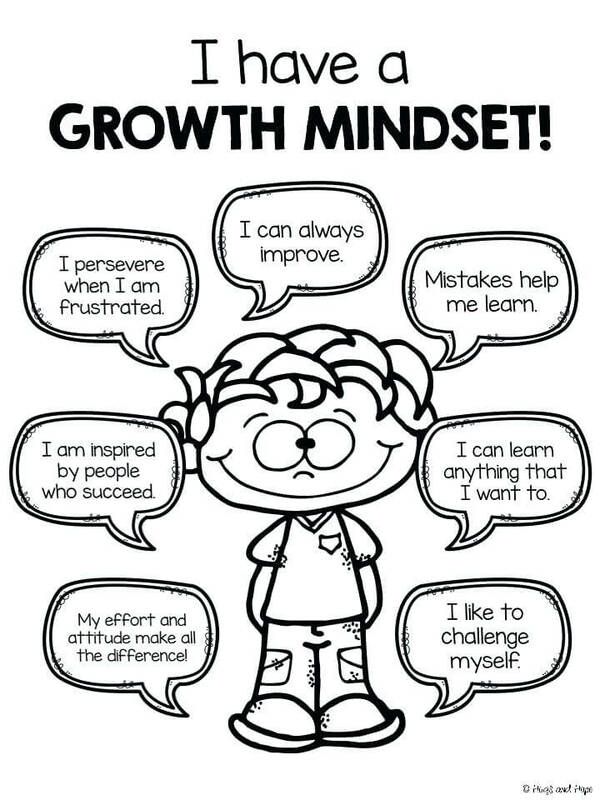 Hope they helped you keep a growth mindset – which most of you surely already have! 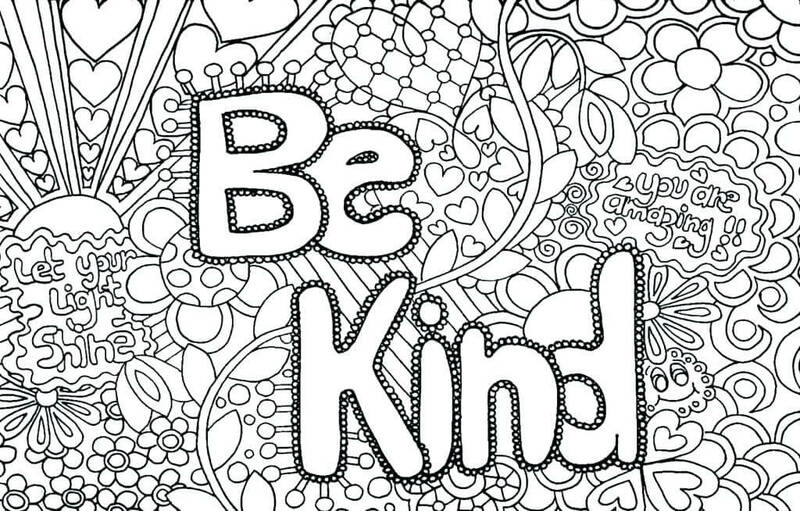 Post your feelings, your favorite coloring page, how this article helped you keep a growth mindset or anything else you feel like telling the world in the comments section below!